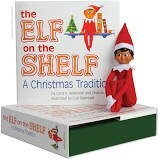 Does your family have an Elf on the Shelf ©? I admit, I missed out on it. Imagine! A tiny little elf that hangs out in your house to report any naughtiness to Santa. How I wish I’d been able to use that to encourage my own kids to behave. “Santa’s watching you,” takes on a whole new meaning when kids can actually see that Santa’s scout is in the house. Genius! Here in Christmas Town, we have our own elusive elf. And unlike the children’s tradition, this one isn’t here to spy on you. As a matter of fact, if you find Elmer, you get rewarded! 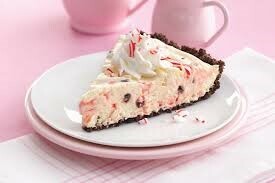 A slice of Posey’s famous peppermint pie! My favorite part about finding Elmer the Elf is that there is no limit on how many times you can find him! All the peppermint pie you can eat! Our own Christmas Eve bride, Lisa Garland, found Elmer enough times that she worried about fitting into her wedding dress. Spoiler alert, she does! I thought it would be fun to play our own version of Where’s Elmer. 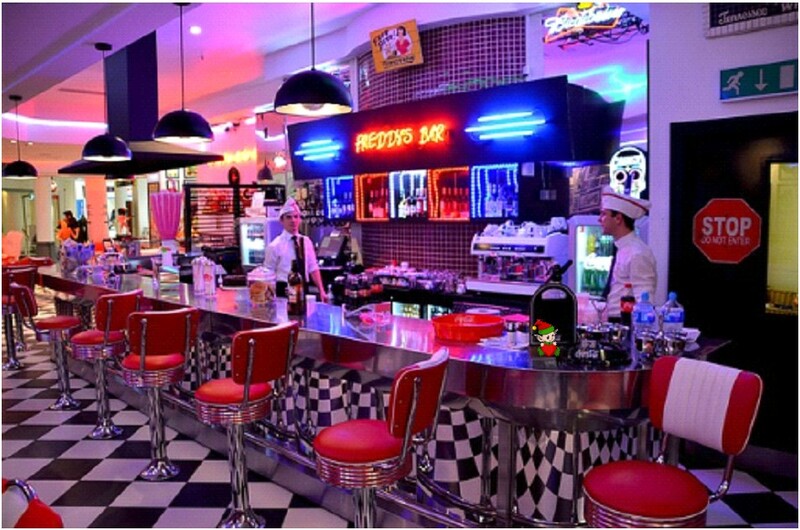 Can you find him? I bet you did! How long did it take you? After you finish off your pie, it’s your turn to hide Elmer. And don’t worry about making it too hard. Christmas Town is full of expert Elmer-finders. But Elmer is just one of the fun holiday traditions that is unique to Christmas Town. If peppermint pie isn’t your thing (seriously? ), you could always put your building skills to the test and enter the annual gingerbread house contest. And in the spirit of giving, longtime resident Cecilia Redfoot organizes a food drive every year and Fingers and Feet Sock Shop has a Stocking Stuffer event where you can help brighten Christmas for a child at The Sugar Plum House. 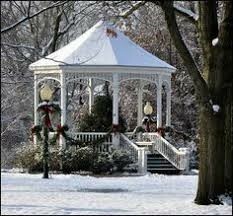 Of course, our most famous tradition is at the Gazebo on the Green. Couples who share a kiss under the mistletoe will hear wedding bells in the New Year. Ah…how many Christmas Town residents will be making their way to the town square to test that tradition this year? I love Christmas Town and I really love their traditions. But since I’m an old married woman, I won’t be making any treks to the gazebo. However, there’s nothing stopping me from heading down Main Street to enjoy a hot cup of coffee, some great conversation and another chance for a slice of that amazing peppermint pie. Is your mouth watering for another slice of pie too? (It’s okay, I won’t tell your scale!) Here’s another chance. Happy hunting and Merry Christmas!